In October, 2005, my wife and I visited Winneshiek County as part of our three week visit to the United States. 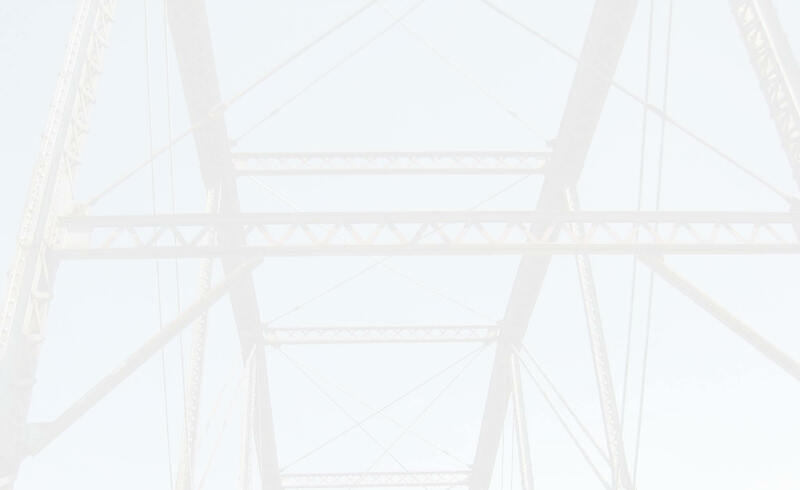 Our mission: To find and photograph the bridges in the county because of its numerous truss and bowstring structures that exist there- more than in the majority of counties in the state of Iowa. Some of the bridges we photographed included the Ft. Atkinson, Chimney Rock, Freeport, Gilliece, and Upper Bluffton Bridges. We didn't get to all of the bridges due to time constraints, but we obtained some information on the ones we photographed and posted them on the website "The Historic Bridges of the US," with the intention of providing people with some information on the bridges of this county. We plan to continue this tradition as we finish off photographing the remaining bridges in that county soon. One year has passed and like humans, these bridges are aging to a point where some of them are no longer able to carry the increasing load of traffic. Take for instance the Upper Bluffton Bridge. The 1876 structure over the Upper Iowa River just outside the village of Bluffton was closed for repairs last year due to poor stringers. Fortunately, these stringers were replaced and the bridge was restrengthened so that it could serve traffic again. Despite its reopening with posted weight and height limits, the bridge does pose a safety hazard for those who choose to ignore these restrictions. According to the county engineer, there have been reports of even RVs crossing the bridge, exceeding the bridge's weight and even height limits. The 154-ft combination Pratt overhead and pony truss superstructure is unique because it was constructed by the Wrought Iron Bridge County in Canton, OH, and is one of the last iron structures that were built prior to the conversion to steel for bridge fabrication and construction. The bridge's surroundings consist of a campground to the south (where there is access for these oversized RVs) as well as some very high and steep bluffs (known as palisades) along the Upper Iowa River just to the north of the bridge. Can you imagine a boring and really ugly concrete slab structure filling in for this beautiful truss bridge with ornamental design? This bridge is not the only one that is being threatened with replacement. Other bridges in the county are also up for replacement. While the Upper Bluffton is expected to be replaced in 2010, the 160 ft. long Turkey River Bridge SE of Ft. Atkinson, the third longest bowstring arch bridge in the US behind neighbouring Freeport Bridge in Decorah is slated for replacement in 2009. Another bowstring arch bridge, the Giliece Bridge, as well as some other high truss bridges like the Chimney Rock, Lundy, and Clark are also expected to follow suit. What can a person do to save these structures? There are many ways to preserve these structures for generations to come, some of which have been realized and could be used as an example for Winneshiek to follow. For instance, in Calhoun County, Michigan, there is a historic bridge park, where many of the bridges in that county as well as surrounding area were relocated and restored for pedestrian use. In Indiana and Missouri, bike trails are being constructed and many of the historic bridges deemed structurally obsolete to vehicular traffic are being relocated, refurbished, and reused for recreational purposes. This is especially noticeable in Pulaski County, Indiana, where the last of the Stearns truss bridge was saved from demolition and is currently awaiting reassembly on the Delphi bike trail in neighbouring Caroll County. There are countless examples on how to reuse these structures, but where does Winneshiek County stand regarding this issue? Efforts have been made to preserve the structures through the bridge marketing program. The Lawrence Bridge for example, an 1880 pony truss bridge is in the process of being sold to a private owner, while the Ten Mile Creek Bridge (a king post pony truss bridge) is awaiting potential relocation into the 12-mile Trout-Run Trail bypassing the city. The Eureka Bridge, a pony bowstring arch bridge already has a new home at a city park in Castalia after many years of service on a gravel road. However, the marketing program cannot preserve the bridges alone. In order to save what is left of the bridges in the county, public efforts from the people of Decorah and the surrounding areas are needed in order to put the preservation of history in front of progress. Without the support and early aggressive attempts to save the remaining structures, these pieces of history will be lost for good before the younger generation has a chance to see them in person. This was the case with the 5th Avenue Bridge in Decorah, which was replaced in 2005, before the community had a say on this issue. It was sad that we never got to see the Parker truss design and it is sad that tomorrow's children will never see it as well. Could this be the case with the remaining historic bridges in the county? Using the aforementioned examples, there are three opportunities to reuse these structures before they become scrap metal. The first option is to make use of the construction of the Trout Run bike trail and erect some of the bridges along the route. While the Freeport Bridge already has a home at Trout Run Park just off Hwy. 9 in the eastern part of Decorah, and 10-Mile Creek Bridge is awaiting relocation to the trail soon, there is always some room for more bridges to be incorporated into the system, including the Turkey River Bowstring Arch and Upper Bluffton, which through a thorough renovation process could be reused again as a pedestrian/ bike route. Another option is to utilize some property along the trail and construct a historic bridge park, similar to the one in Calhoun County, Michigan. As each truss bridge is slated for replacement, they could be disassembled, refurbished and relocated to the park to be reconstructed as a permanent exhibit for people to see. The third option (and perhaps the most interesting) would be to expand the Trout Run Trail to include a trail going along the Upper Iowa to connect the trails in Minnesota. The Upper Iowa is rich in natural resources and recreation. It is also enriched with Amish heritage, and each village and region along the river has its own historic identity- Bluffton, Kendallville, Freeport, just to name a few. Since almost all of the 12 remaining high truss bridges in Winneshiek County are located along the Upper Iowa, plus there are numerous pony truss bridges located nearby, one could convert these bridges into the bike trail network and even bring in additional bridges to provide additional crossings over the Upper Iowa. The trail could start at Chester in Howard County, adjoining the bike trails in Minnesota. From there, the trail would run parallel to the Upper Iowa, crossing the river with as many bridges as deemed necessary until it joins the Trout Run Trail System encircling and entering Decorah. 1. Emergency services- Ranger stations, as well as emergency telephone booths would have to be available along the route to provide bikers, etc. access to necessary aid for them to move on. 2. Liability- While the county would have to take care of the bike trails and the structures, the responsibility for personal safety lies solely on those who use the trails. 3. Proper lighting- Lighting would be installed wherever it would be deemed necessary, like in villages, at road crossings, and especially on the bridges. 4. Accessibility- Like the Trout Run Trail, the Upper Iowa trail would be accessible to all who want to use it, especially those with disabilities in accordance to the Americans with Disabilities Act. Points of trail access and parking would have to be available at the existing recreational areas like near the Chimney Rock, Upper Bluffton, and Lundy Bridges, with more to be added if needed. 5. Costs for constructing the trail- Apart from financial support on the governmental level, the majority of the costs could be covered through fundraising, corporate sponsorship, lobbying, and donations, just to name a few. What can we do to start this initiative? Start now. Lobby the government officials, and convince them that preserving bridges and reincorporating them into either the Trout Run Trail or the Upper Iowa Bike Trail or constructing a historic bridge park will promote physical activity, environmental awareness, historic preservation, and leisure activity for all who want to use it. Do whatever it takes to preserve the remaining historic bridges of Winneshiek County and reuse them for recreational purposes; be it for the bike trails, a historic bridge park, both, or other alternatives. As for us, since we live in Germany, we cannot do much. However, we can use the one weapon to get your attention: the media- the newspapers. Beginning this year, we will submit information (and if we have them, pictures) of the bridges in Winneshiek County, to give you a lowdown on the significance of these structures. Apart from the commentary that we will do on each bridge, the profiling of the bridge will be based on information gathered not only from the engineer's office and the historical societies on a local and state level. We also would like to include some stories from people who live near these bridges and/or have fond memories of these structures; that is, YOU! We would love to have some interesting stories from you. If you have any stories that you would like submitted on these bridges, please send them to: JDSmith77 at gmx.net or x0smjabi at hotmail.com (@ symbols withdrawn to protect emails... add them in when you type the addresses), and we'll include them into the story of each bridge. The deadline for each bridge is the last day of each month, with the submission being in the middle of the following month. Photos on your end are also welcomed. Please scan them and send them in JPG format so that pasting the photos on the articles is easier. In addition, there will also be submissions of information on bridges outside the county, which could also use a new home in Winneshiek County, for their historic significance is very importance even though they are due for removal in the near future. Apart from the bridges in Howard and Allmakee Counties where the Upper Iowa flows through, some profiles will also consist of bridges from other parts of Iowa and Minnesota, which they could have a potential home in Winneshiek County regardless of how they are incorporated in the recreational environment. These submissions will come at an irregular basis. Note: The first bridge we will submit an article on is: The Upper Bluffton Bridge. Please submit your stories and articles before 31 January, 2006 for its first submission on 15 February, 2007. More information on the Calhoun County Historic Bridge Park is available here on Historic Bridges of Michigan and Elsewhere.